2013 (5) / August 2013: Life At The Tower of Babel. 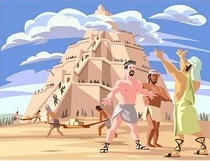 Remember the story of the Tower of Babel? How when the people spoke different languages and couldn’t understand each other they were not able to complete the tower project? Communication issues are as old as recorded history, and a lack of understanding always negatively impacts our ability to deliver projects. Sometimes the misunderstandings are not only that of language differences, but also differences in how we understand the context of what we are talking about. Remember the famous Abbott and Costello baseball bit? The one about “who’s on first”? Refresh your memory with the link to the script. This often occurs when the project manager doesn’t understand the context of the project within the company’s sales and operations planning process. Not all projects are of equal importance to meet strategic goals, and it is important that project managers understand where their project fits, and how important it really is. Just because a project is important to the project manager leading it, does not mean that it is of the same importance to the other stakeholders. This challenge most often occurs in rapidly growing or rapidly changing environments when one part of a company is not communicating effectively with another, or when the sales and operation planning processes are not creating robust corporate strategy goals. This problem is often a matter of one executive’s pet project being key in one part of the organization, but not appreciated or understood in another. A common example of this is when one part of the company is being asked to increase productivity in a specific work area within a specific time period, but another part is deploying a new technology that in the short term will actually require more resources and reduce productivity until that technology is fully implemented. This challenge is usually one of terminology and can often be solved by the quality team and the project management team working closely together. Terms such as risk management, change control, and corrective actions, can often seem to be well understood by all stakeholders, when in fact there are nuances that may not be well communicated. For example, the term corrective action means specific documentation to a quality auditor, whereas to a project manager, it may simply mean slightly changing course without formal documentation. Before you proceed, let me leave you with one last story to illustrate how challenging project communication can be. 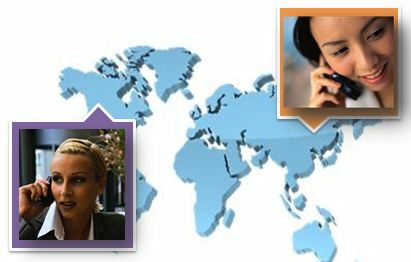 I was once involved with a project that had key stakeholders located across Asia, with the production team in Shanghai, the customer service team in Hong Kong, and the sales team in Beijing, with senior management located in North America. The project was not going well, and I asked one of the project managers to travel to each city and try to understand where the issues really were. This project manager was fluent in three dialects, and if she could not identify the problem, then the project was likely a lost cause, I thought. After the first week, she called to report in. Simple to identify, perhaps, if you speak multiple dialects fluently, and if you have a broad strategic understanding of the company. Not always simple to fix however, and in this instance, it took us 6 months to get the project even basically back on track since there was so much basic foundational work to do on redefining terms and on redefining project processes and frameworks. Perhaps you can identify with these issues?